NOBLE PREMIUM: Proud to be “Made in Italy”! Nobili’s quality and 4incentive’s sophisticated marketing join together to spread the word. How does Nobili Premium work? In short it allows distributors and wholesalers to effortlessly enter sales through a pre-loaded product list. The software checks the data, invoices and validates the scores. The system tracks tens of thousands of verified data automatically making it an easy streamlined process for the user. The first “signed” Nobles was born in a garage in 1954. Since that day, over 100 million faucets have been installed in homes and some of the most prestigious hotels in the world. 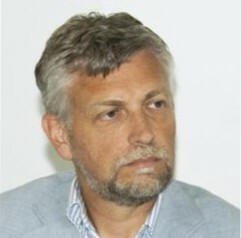 The company's founder, Carlo Alberto Nobili, had a breakthrough idea. He wanted to create a product that combined the best technology available in a visually appealing form that would eliminate wasting resources and materials. And, he wanted to offer his product at a fair price. Today those values are still in place and found in every Noble product. "We had to work hard with the IT technicians at 4incentive to define the mechanics and determine how the data should be compared. In fact, every month thousands of entries are submitted by Noble Premium and automatically checked for possible inconsistent data. Our goal was to ensure that each user would find the process simple and effective." 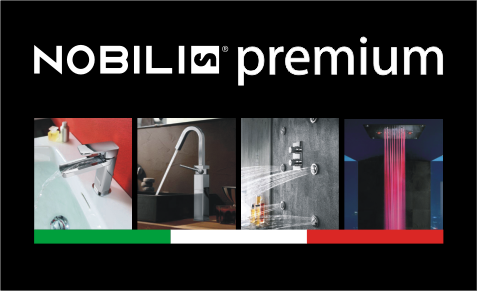 Nobili Rubinetterie needed to increase the sales of specific product lines while retaining and promoting the quality and design of the Nobili products. The goal was to interact with the consumer, talk about its products and develop a long-term business relationship. 4incentive created an online platform for managing the entire product line via a preloaded inventory of Nobili products, each with an assigned value in points. Each time a sale is made in the exhibit hall, the wholesaler enters it in the platform. The points are visible, but not expendable (red) until the data is compared. The system contains a fully automated control that interacts with the tens of thousands of sales data that the CED of Nobili has provided. All scores are then validated and deemed consistent points and become expendable (green). During the course of the year we also used time "accelerators", or promotions on certain lines of products in a specific period that helped to keep attention focused on the initiative even in times found to be less efficient. The creation of a large database and the ongoing relationship with the customers via email and SMS messages has developed an effective loyalty program. This has resulted in increased sales and enthusiasm. The level of success was high enough that Noble not only decided to renew for the second year, but also to extend the incentive to the French market and to the Stella Rubinetterie SpA historical society group.